We work on boards and let other folks handle the rest. For surf foiling, we recommend Cloud IX Surffoils, since they’re light, work well for both kiting and paddle surf foiling, and are a stone’s throw from the FCD shop. Below are links to the Cloud IX foils. 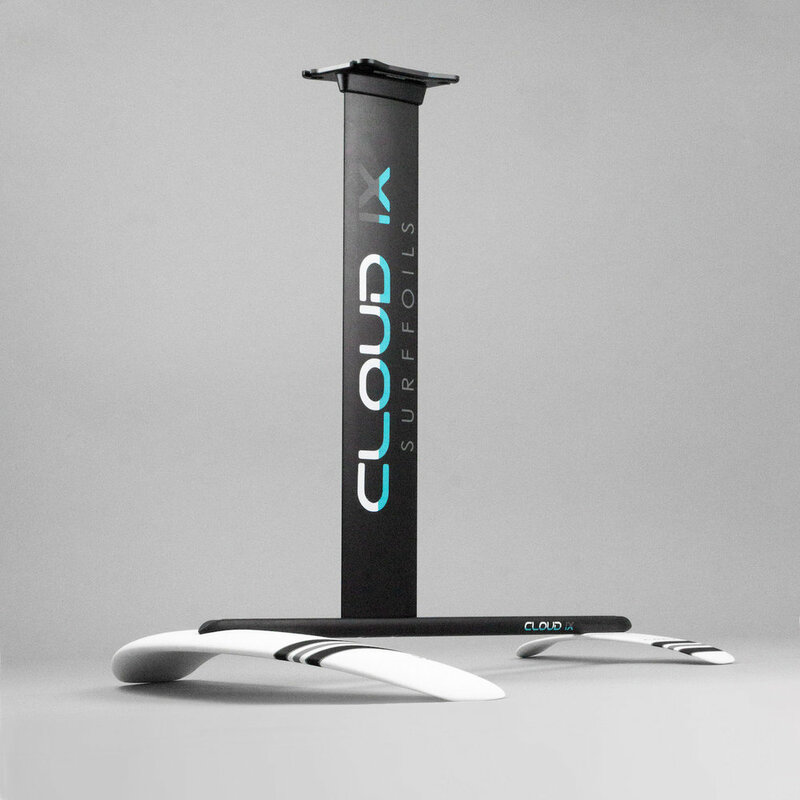 If you’re interested in going with a Cloud IX Foil, give us a call at the shop, since we may be able to combine shipping. 24 inch front wing is stable for surf foiling and lighter riders. 27 inch front wing increases lift for SUP or larger riders.